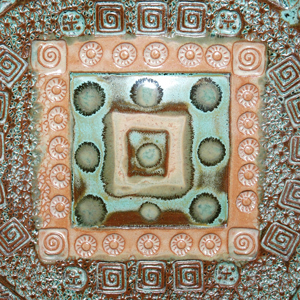 I switched to L&L because of the deterioration of the element channels in my old kiln. 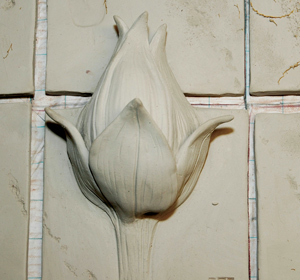 Diane Emerson has been working with clay for 30 years. 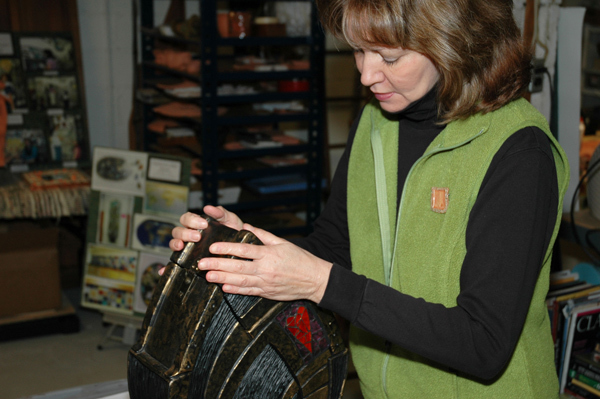 Whether it be teaching in the Pemberton school district or the pursuit of personal artistic endeavors, Diane has always been passionate about what she does. 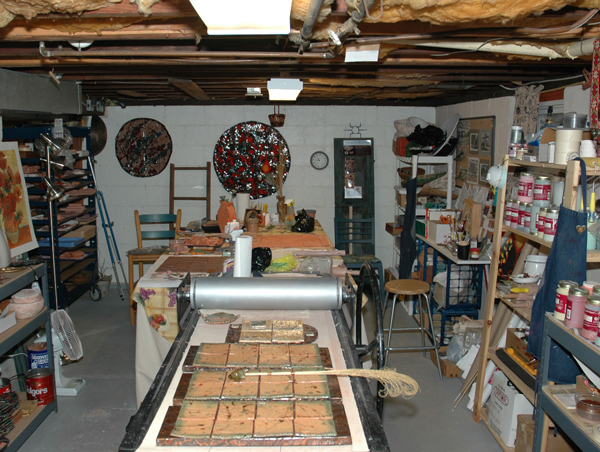 Her studio is nestled in the basement of her Cottage style home in Medford, New Jersey. Her work is almost entirely influenced by her surroundings. She uses everything from leaves and found stones to make impressions on her tiled clay pieces, to using auto parts for the interesting geometrical shapes they leave behind. 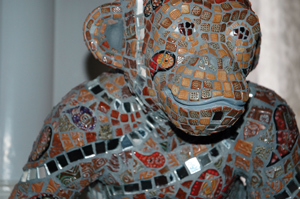 She fires her tiled creations and sculpture to cone 05, a temperature she came to be familiar with while teaching. A key point she made was that in a school with one kiln, firing to 05 allows you to bisque and glaze fire at the same time. 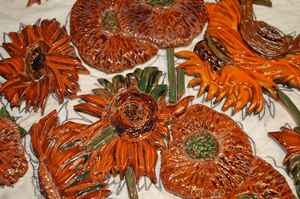 Diane also takes time to support the local ceramic community through a workshop called “Clay in Mind,” which is affiliated with the Clay Studio in Philadelphia. She chooses to fire in an L&L JD230 for number of reasons. 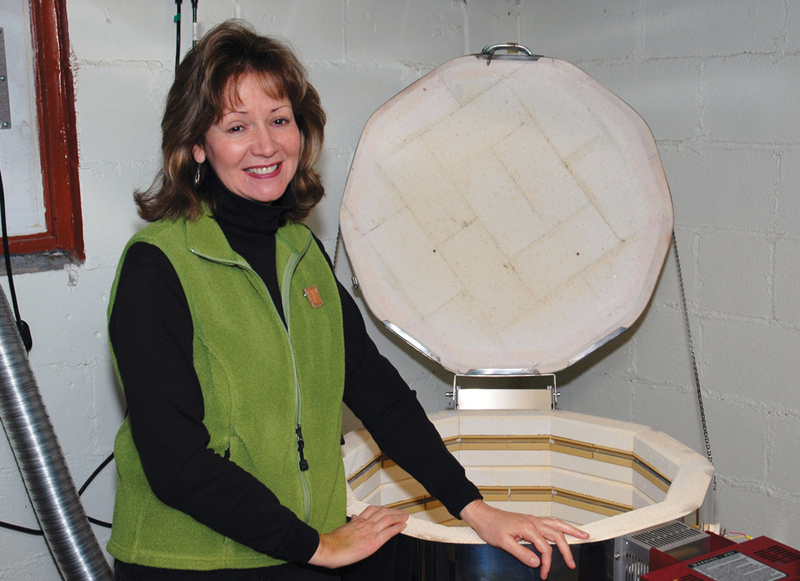 The fully opening lid allows her to load her larger sculptures in without the impediment of a lid prop and the durable ceramic holders have kept the kiln in like-new condition. 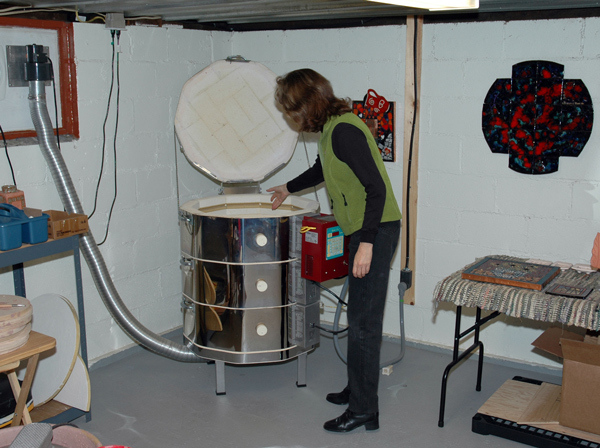 She switched to L&L because of the deterioration of the element channels in her last kiln. She is commonly loading larger tiles and needs the extra durability on the faces of the firebrick.